6 Tips for selling your home | Southern Realty Inc. 6 Tips for selling your home – Southern Realty Inc. Although the real estate market has its ups and downs, there can be a way to get the most for the home you own. 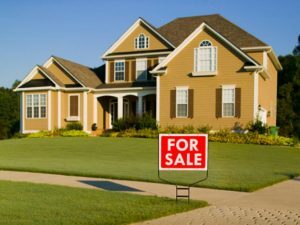 Here are six tips that will help you sell your home. Audit your agent’s online marketing – Most home buyers will start their home buying process online, and they will not visit or pick up the phone to inquire about your home if your online listing is not compelling. Post a video love letter on YouTube – Speak to your buyers on a personal note, by telling them about the best bits of your home and why you and your family love your home so much. Facebook your listing – Put your listing on Facebook as it is a good way to tell a lot of people that you are selling your home. Leave some good stuff behind – Leave some items that your home buyer will love and those that will compel them to choose your home over any other. Look at items like stainless steel kitchen appliances or a plasma screen TV. Beat the competition – Get as many of the repairs done on your home so that your home looks its best before Look at painting, cleaning up nicks, scratches and a freshly cleaning your carpets.